Any inquries about the releases below just email us! 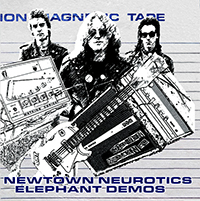 Available for the first time, the Elephant Demos mastered for vinyl, it comes with a gatefold sleeve which includes unpublished band photos from the period, on an insert containing lyrics to the songs. 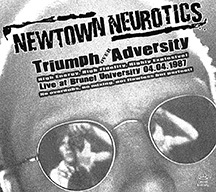 Triumph Over Adversity is a terrific live album, how can it be anything else when the Newtown Neurotics were declared to be ‘One of Britain’s greatest power trio’s by Q magazine in May 2009 along with The Jam, Doves, Stereophonics, Motorhead, Muse, Cream, The Police, ELP and Manic Street Preachers”. The band has long wanted this recording to be released as they feel it lives up to the Q magazine accolade perfectly. The set was also close to being explosive as is explained by the story contained within the sleeve. 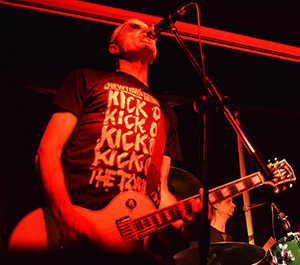 The sound quality is excellent, the performance electric, a hour of what punk rock can be and what the Neurotics still are. For a limited time only, any purchase will come with a free TOA badge (see image under CD sleeve). 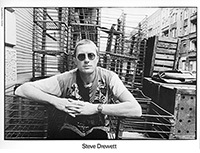 Looking for Steve Drewett mail order? Then follow this link! Better still, buy their stuff here, from this website using PayPal/Credit card and ensure your money goes straight to the band. 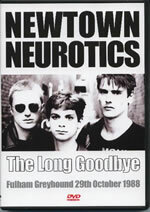 'You're always alone with a Neurotic' Steve Drewett's Kindle book is available here. Plus! Free signed (with your name and inscription) Steve Drewett Walkerprint with every order of this T-shirt! 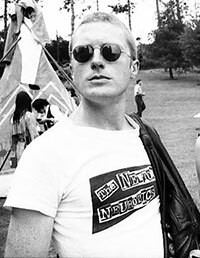 We do plan to reprint this t-shirt at some point. This single has been re-released by Feral Ward records and can be purchased by following the links below. This single has been re-released by Goodwill records and can be purchased by following the links below. This single has been re-released by Goodwill records and can be purchased by following the link below. Individually crafted and signed by Steve Drewett with your name. Once again, and it's now available here. 11 exclusive tracks, not available in the shops! Does anyone know where the march is?